On your special day, in lieu of standard wedding or shower favors, consider a gift that carries a message of hope and love. You can honor your guests with a charitable gift, fulfilling Kaitlyn's wishes, by making a difference in the life of another child. 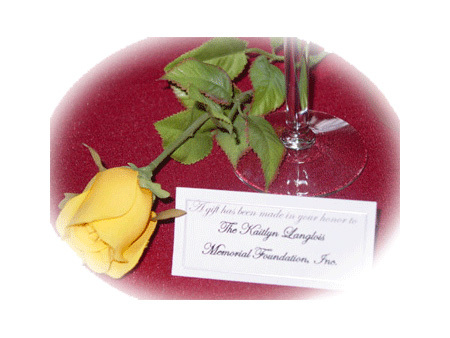 The recipients will be touched that you chose to support the Kaitlyn Langlois Memorial Foundation. We will provide you with table cards or scrolls that you may put on display at each place setting.